American Vandal's new season will try to unmask the identity of the "Turd Burglar" who wreaks havoc on a Catholic high school. Today Netflix released the first trailer for Season 2 of its Peabody-winning and Emmy-nominated American Vandal, which will debut on Friday, Sept. 14. The first season—one of last year’s best new shows—focused on 27 cars in a high school faculty parking lot that were vandalized with graffiti of penises and the high school documentarians Peter Maldonado (played by Tyler Alvarez) and Sam Ecklund (Griffin Gluck) who tried to find the culprit. There was plenty of humor, but even more drama, making American Vandal every bit as engrossing as the documentaries it spoofs. 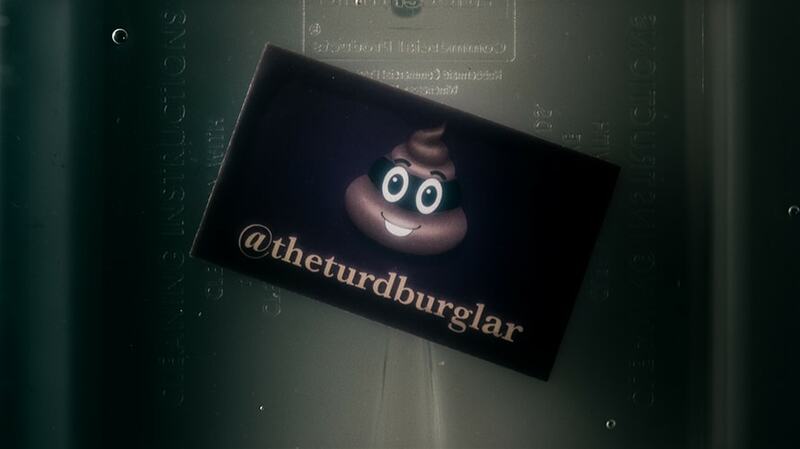 Then the perpetrator, who calls himself or herself the Turd Burglar, begins taunting them on social media. Season 2 will premiere on the very same day that Netflix will drop the fifth season of BoJack Horseman, a series that would seem to have at least some audience overlap with American Vandal.